What is Commission Conspiracy? Please do not buy until you read my Commission Conspiracy Review which is part of Empire Network. Take a few minutes here to read my honest and unbiased review then you can decide if this is a scam or is it legit? It is controlled by Empire Network which helps you build an online business in 5 minutes just by clicking on 5 different buttons to get started! In the video of actors it shows Wayne walking off with one of the internet gurus personal flash drive with this awesome system on it. You will pick a product and enter it into the system and it will help you to generate a new business! 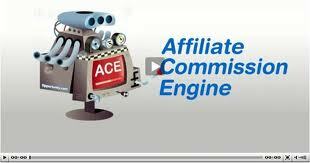 The Affiliate Commission Engine which is there main software to make this work will run you: $997. Who Is Commission Conspiracy Really For? This one is just like all the rest that I have payed for and tried out for awhile and could not make a penny on, due to I could not get past all of there upsells to get to the money making system. This was designed for and produced so they all can make money off the unknowing newbies out there wanting to be just like them. So if you have a big email list this one is for you to make some money off of, but not for the one that wants to get started on the internet! Commission Conspiracy Traffic Suite is nothing but an old school tool that helps you spin your articles and content, which Google looks down on now. Like I said earlier the training you would have to pay extra for! Yes there is support but it will cost you also! Here is there support address support@empirenetwork.com. Only problem with this support it does not exist, when I was having trouble getting info to get this system to work I sent them an email It was sent back to me address does not exist. From this point I knew this was a big contacted had to contact SWREG clicksure payment system that I had bought this system through. They responded with an email to them and cc me no response. But I did finally got my money back through SWREG. 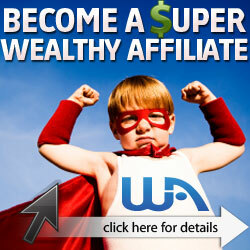 Over at Wealthy Affiliate you will always be able to get support within minutes up to an hour at the most or someone will point you into the right direction and this support is always FREE! Well I payed my $24.50 to get in the door and came up with this opinion! When you get in you have to follow 3 steps before you can do anything else, Step 1 was to join an upcoming webinar that you must see first, This one is about the commission engine software that is a 3 step system that was set up with a friend of his that is a top notch programmer. Its 3 steps are 1. a keyword search engine in which a system I use is way better then this one and it is called Jaaxy. Step 2. Build your website, one step on this part did not set right with me it looks up articles about your keyword then tells you to pick one and copy and paste the content to your site, as we all know this is considered duplicate content and Google looks down on this. After watching this part of the video it actually reminded me of how you set up your Squidoo sites all in the same. Step 3. Traffic, this uses 3 steps keyword, products to match and piggybacking off of similar blogs on the internet. So in my opinion everyone should stay far away from this system and people that are affiliated with it. This concludes my Commission Conspiracy Review I hope you enjoyed reading it as much as I enjoyed writing for you! Here I have included below a free keyword search tool that you can try out for free to see how it works the name of it is Jaaxy! Feel free to try at no charge! 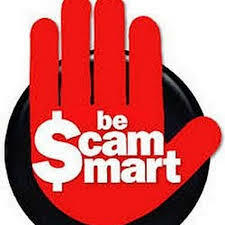 I know of a place that is full of well liked people that will help you build your own online business and they will not charge you any fees for there knowledge, because we do not allow scammers in our community no gurus here at all. 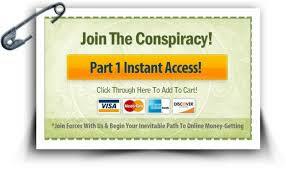 If you are truly interested in a legit online business feel free to join us by clicking on the sign up free button. Yes it is free to join no credit card info to sign up! I’ve never seen a site quite like this. As you can imagine, everything I’ve started ending up being total crap. Including, most recently “Empower Network” which is starting to look and feel an awful lot like a cult. That kind of relentless hard sell is actually embarrassing. “We Punch Wussies In The Face” is their mantra. Wussy = anybody that doesn’t spend thousands of dollars to buy Sharpe & Wood’s products. It’s almost too hard to believe that there is something legitimate on the internet that I could honestly earn a living at. By the way, are you related to Mike? Please get back to me. I’d love to get involved in something that was real. Not being a moron selling junk to morons. HELP! P.S. Thanks for letting me vent. I know that is why I am on here trying to inform people of these terrible people that find different ways to exploit people that are desperate and need to make money to survive. There is a better place and that is were I am now we all have been down this road and we are here to help others down the right road to success. You are welcome to join us at anytime you heart desires at Wealthy Affiliate University!